All of our shared web hosting plans come with Litespeed, solid state drives, HTTP/2, and cPanel, the leading hosting control panel allowing easy editing and full control of your website. Free SSL certificates are included with Business and above plans. Looking for a more powerful solution? Click here for our VPS and Dedicated servers. Every hosting account includes these FREE premium features! The Fastest Web Server on the Planet! 6 times faster than Apache, the standard web server. 3 Times faster than Apache when using SSL. Processes PHP scripts, like Wordpress, 50% faster. LiteSpeed's Wordpress plugin makes pages load up to 75 times faster! Combined with PHP 7, solid state drives, and the latest HTTP/2 technology, your web site will fly! All of our web hosting plans come with cPanel, the most popular hosting control panel on the planet. 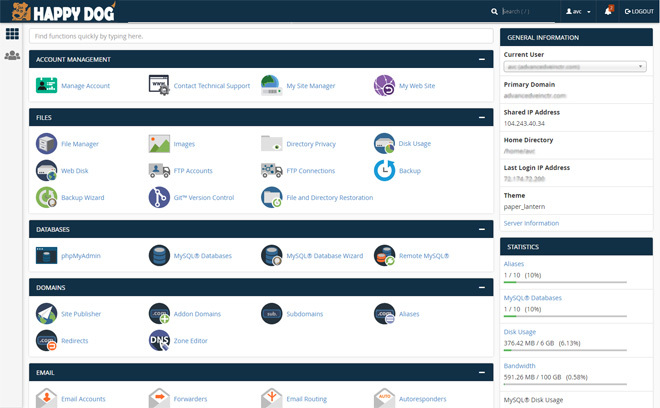 cPanel allows you to fully manage your account and web site from one easy to use console. 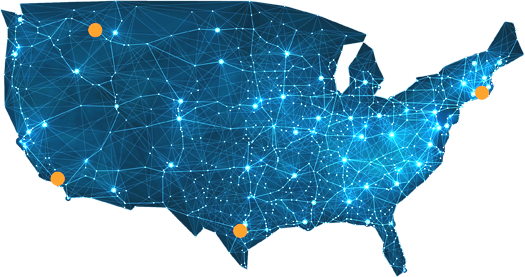 With cPanel you can manage every aspect of your web hosting account, from any computer or device from anywhere in the world! And so much more with over 80 account management features! Stop Worrying About Your Web Site! We take security very seriously, from web site protection to spam prevention. All of our web servers are equipped with multiple layers of advanced security and firewall protection. We consistently score an A+ on Qualys Labs Security Scans, which is better than most financial institutions.